The following is a guest post from our friend Meg Hopkins of AND CO. From invoices to payments, it’s the easiest way to automate your freelance business. If you search Google for ‘business relationships,’ you will be inundated with information detailing how to create and maintain them. You can pick and choose advice for whatever situation you want, whether it be forming successful business relationships online or improving the business relationships you have already formed. The truth is, no matter how fine-tuned, precise, and overall useful a product is, no company can succeed without maintaining quality relationships with other businesses. For every business, relationships are key. It does not matter if a company is small or large, a startup or an established corporation, how well it interacts with others will determine its success. Business relationships are built on mutual trust and investment. They can lead to business milestones, such as more sales and even partnerships. These relationships are the core of companies such as FollowUp.cc and AND CO. While both provide their members with very different services, they are alike in that they work diligently to maintain quality relationships with each and every user. 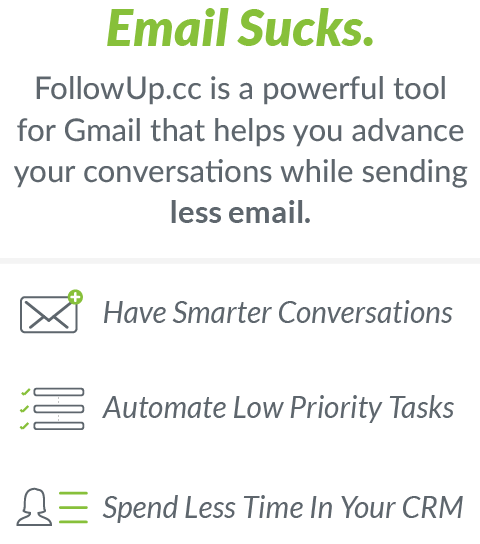 FollowUp.cc, for example, is a productivity tool and relationship manager that improves the daily work of every user. It integrates with popular sales platforms while, at the same time, providing users with add-on applications to maintain organization and relationships. Its ability to be used in a regular Gmail account ensures that nothing ever gets lost in the pipeline. Email and schedule reminders, keep on top of leads for the sales team, so every potential user is accounted for. Basically, FollowUp.cc helps people stay efficient and focus on their work. In the same vein, AND CO is an all-in-one platform for freelancers. Members of AND CO can invoice their clients directly on the platform, and use it to track payments to make sure that no invoice or payment is ever missed. Client payments can easily be accepted with no extra fees, and expenses are tracked and recorded automatically for tax purposes. The AND CO platform can be used to generate time sheets, and members can even use it to share their experiences with different freelance companies. What we have here are two platforms that take the grunt work out of sales and freelancing respectively. Yes, the platforms are useful and, yes, they make jobs easier. However, both of these platforms truly distinguish themselves from others by going above and beyond to maintain their own business relationships. For FollowUp.cc, interactions with company users take precedence above all else. Similarly, AND CO works to make sure each individual freelancer is understood and fully taken care of. To both companies, relationships matter more than all other facets of business. 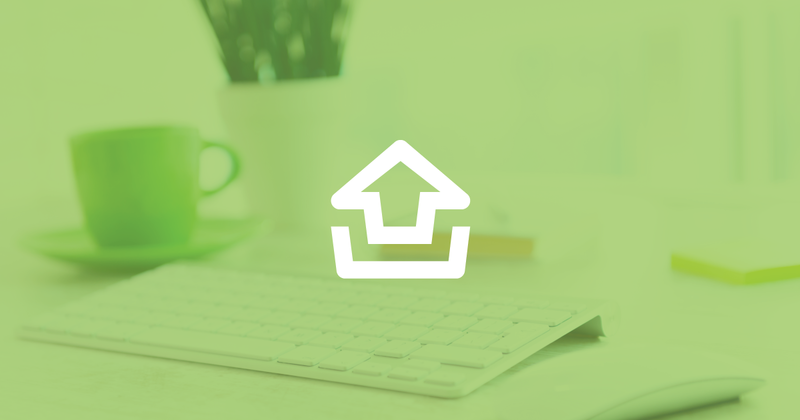 FollowUp.cc makes sure to check in with customers through their blog, email, or through customer support. Its help center is designed to answer questions members did not even know they had. FollowUp.cc knows that its fundamentally built on the value of relationships. By helping keep user inboxes clear, users can stay focused on the task at hand with the help of free and clear lines of communications. Likewise, AND CO maintains its relationships with all freelance members by assigning each their own Chief Operator all of whom are, you’ll never guess, human. These Chief Operators help freelancers run their businesses by answering questions and always being at the ready to help with busywork, like tracking expenses. Better yet, since not every freelancer has time to hop on a call when a problem arises, Chief Operators are reachable via text message. One text, and a freelancer can get an invoice crafted, a business expense filed, and any question answered. AND CO’s Chief Operators spend time getting to know each and every member. They make sure to understand of which industry each freelancer is a part to best get their jobs done correctly. AND CO and FollowUp.cc are two prime examples of companies that put their business relationships above all else. They make the time to specifically cater to individual members in order to give everyone the best experience possible. The result has been happy users, which results in acquiring more users and, therefore, more revenue. The maintenance of strong business relationships is directly related to revenue, and a lack of strong business relationships will almost certainly result in a failed business venture. It is important to note that, even though FollowUp.cc and AND CO are startup companies, the importance of maintaining business relationships applies to all organizations, big and small, for-profit and nonprofit. The way that these two companies approach interacting with members is not only admirable, it is necessary to continue acquiring new customers and to keeping old ones. So, whether you are a sales team in need of an all-encompassing, integrated platform, a freelancer in need of a platform/person to take care of everything that makes freelancing a hassle, or simply a company looking for a good business relationship maintenance model, check out AND CO and FollowUp.cc.